PADI Regional Manager Gio Cacchione had a chat with all candidates from Thailand that have recently been accepted to the upcoming Kota Kinabalu 2015 CDTC. Darren Gaspari from Australia has been living in Thailand for over 7 years now. He owns and manages Aussie Divers Phuket, a PADI 5 Star Dive Centre in Phuket. RM: What was the most challenging part of your CDTC application? DG: I personally did not encounter any particular challenges. The whole process was actually very exciting and rewarding. RM: How many years have you been diving? DG: My first encounter with the amazing underwater world goes back over a decade ago, in Australia at The Great Barrier Reef. RM: When did you first decide to apply for the PADI CDTC and why? DG: This is been one of my professional goals for some time now. I would like to have a real impact on students and what better way to do that by teaching and training future instructors. Next up Marie-Lise Rux from Canada. Marie has been working as the Manager of Professional Training at Buddha View Resort, PADI 5 Star IDC Centre in Koh Tao. She speaks 3 languages, English, French and Arabic and loves mentoring Divemaster Trainees and staffing IDCs. RM: When did you start diving? MLR: I did all my entry levels and Divemaster rating in Egypt over 10 years ago. RM: What was the best part of your CDTC application? MLR: I thoroughly enjoyed the Interview process. As part of my application, in fact I had to go through an interview conducted by one of the PADI Staff members of the Instructor Development Department. I was quite nervous at first but it actually turned out to be a very enjoyable step. RM: What are your plans after the CDTC? MLR: I am planning to conduct IDCs in several South East Asia regions. India, Sri Lanka, Philippines and Thailand. I also look forward to be able to work together with my husband, who is a PADI Course Director as well. Neil Richards from the UK is the Dive Centre Manager of Haad Yao Divers, PADI 5 Star IDC Centre in Koh Phangan and has been living in Thailand for over 11 years. Neil initially arrived in Koh Tao but then decided to take root in Koh Phangan and never looked back since. RM: What was the best memory of your very first dive? NR: My first dive was in India and the best memory I have was that amazing feeling of weightlessness, gliding through the water…I had goose bumps underwater. RM: Tell us about the process of applying for the CDTC. NR: The whole process was exciting and challenging at the same time. When I received the acceptance email from PADI, I was thrilled and felt a huge relief. One of the best experiences I have ever had. I am really looking forward to the CD Training Course itself. RM: What is next on the agenda? NR: I would really like to increase the IDC market on Koh Phangan. Gareth Lyden, also from the UK, works for Master Divers, PADI 5 Star IDC Centre in Koh Tao. For numerous years he has been the Professional Development Manager and enjoyed teaching students from entry levels all the way up to professional. Gareth was an Instructor Trainer with another Training Organisation but recently decided to go back to the PADI system. RM: Where and when did you start diving? GL: I first dove in Australia, Great Barrier Reef, over 12 years. RM: Although you were already an Instructor Trainer, why did you decide to become a PADI Course Director? GL: I believe PADI has a very solid teaching system and a better foundation to business & standards support. When doing my IDC, I knew then that I wanted to teach Instructor level courses. My PADI Course Director was a real inspiration. RM: What are your future plans after the CDTC? GL: I consider Thailand to be my new home, so I will definitely be staying here for a long long time. I would like to expand in different markets and take advantage of online teaching. Last but not least, Silvano Cacchione from Italy. He is the Dive Operations Manager of Coral Grand Divers, 5 Star IDC Centre in Koh Tao. Silvano worked in the hospitality & catering business, first in Spain and UK after. He relocated to Thailand to embrace a career in scuba diving. RM: Tell us about your first diving experience? SC: The first time I put on a Mask, BCD and fins was during a DSD in Mexico, many years ago. It was one of the most amazing experience ever. RM: When did you first think you wanted to become a PADI PRO? SC: During the DSD in Mexico, I remember actually liking the confined session more than the dive. I really enjoyed completing the skills that my instructor demonstrated and that was when I realised I also wanted to become an instructor one day. 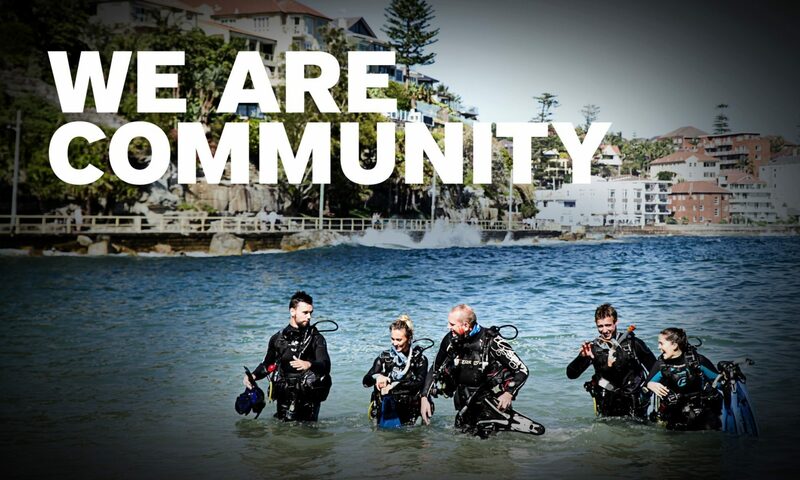 RM: What would it mean to you to become a PADI Course Director? SC: It is the highest rating in the PADI system so besides being an amazing personal achievement, it will allow me to be able to pass on to new instructors all my passion for diving and marine conservation. Log on to the PADI Pros’ Site and read through CDTC Questions and Answers document, then check out the online presentation about what it takes to become a PADI Course Director and download the CDTC Fact Sheet. Download a PADI CDTC Application from the Pros’ Site.